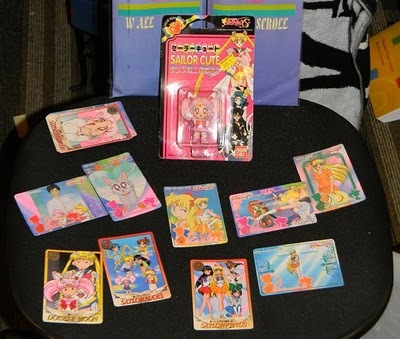 Unfortunately, coverage of New York Anime Fest didn’t pan out so well this year- namely because your friendly neighborhood Sailor Venus-obsessed blogger kind of got ill during the con and had to leave early in the weekend. Nevertheless, I did attend the con for a few hours, and have a few tidbits to share that may be of interest to the Moonie faithful. First of all, if you’ve read any coverage of this con at all on other sites, then you’ve already read that NYAF basically got absorbed into the New York Comic Con. In retrospect, it should have been obvious that this was going to be the case, since NYCC is simply a much bigger con, however it’s still kind of frustrating when you’re looking for Sailor Moon cosplayers and everyone seems to be dressed as either Slave Leia or one of the Ghostbusters. While it’s generally assumed that combining the two cons was financially smarter, for selfish reasons I miss the old NYAF; the con where walking three steps was not actually a half-hour project requiring serious planning. There were just too many darned people there. There was no Sailor Moon panel (which, on the plus side, at least means that I didn’t MISS the Sailor Moon panel), and I didn’t see nearly as much Sailor Moon stuff at the vendors as I did at Otakon, although it’s not really a fair comparison for several obvious reasons. Still, I did pick up a few cool SM-items from the few anime-themed vendors, and heard more than one person say “OMG I love Sailor Moon!” upon seeing a plush doll of the Odangoed One herself, so it wasn’t a total loss. Note to those planning on going to NYAF/NYCC in the future (assuming the idea of being packed in like sardines with tens of thousands of your favorite comic fans of dubious personal hygiene doesn’t scare you away), know this: NYAF is much looser on the bootleg situation than Otakon is. I saw a bunch of Moon Cat plushies in about five different colors, including pink and lime green, but NONE of which were the right color to be Luna, Artemis, or Diana. Maybe there’s a lime green cat in the manga…wait, how would we know? Naturally, I also saw bootleg DVDs of American TV shows and things- not a lot of them, but it still surprised me. Maybe the con is now just too big to police? 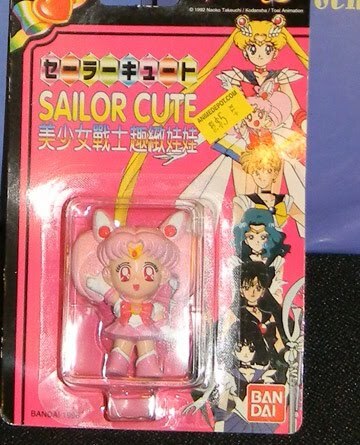 I actually thought that this was a bootleg as well, but Sailordees corrected me: that’s right, “Sailor Cute” is legit! Yaaay, tiny work-safe Sailor Moon art for my office! And as an added bonus, plenty of Minako! So, all in all, a bit of an underwhelming con experience for me this time around, but hey, I now have my very own SAILOR CUTE. And I think that’s special.